Free jewelry making eBooks are the ultimate resource for jewelry designers and jewelry making enthusiasts. Each eBook includes a collection of free jewelry making projects and patterns organized around a theme, such as holidays, jewelry type, bead type and more. You can easily download and print out each book for on-hand reference while making jewelry. On this page, find our most recently published eBooks. For help downloading our eBooks, see our help document. 14 Pretty Pearl Jewelry Patterns for Every Classy Occasion eBook - Create different pearl jewelry projects for every occasion you could think of. Whether you are going out for a fancy dinner or spending a day shopping 14 Pretty Pearl Jewelry Patterns for Every Classy Occasion eBook is the perfect resource for all your pearl needs. Breathtaking Wire Bracelets: 5 DIY Bracelets eBook - Wire wrapping has never seemed so easy with the help of this jewelry making eBook. From simple wire-wrapped bangles to bead and wire bracelets, Breathtaking Wire Bracelets: 5 DIY Bracelets is excellent for both beginner and master jewelry makers. Learn more and download the Breathtaking Wire Bracelets: 5 DIY Bracelets eBook. Marvelous Wire Rings: 5 DIY Rings eBook - Create a homemade ring for any occasion and for any sense of style! These DIY wire rings are sure to become favorites in your homemade jewelry collection. With both simple and intricate wire designs, each project will help you learn a new skill while creating a stunning set of DIY wire rings. Learn more and download the Marvelous Wire Rings: 5 DIY Rings eBook. Jewelry Making for Beginners: 11 Beginner Jewelry Making Projects eBook - If you've always wanted to learn how to make jewelry but weren't sure where to begin, then this collection of beginner tutorials is just what you need to get started on your jewelry making journey. Master fundamental jewelry making techniques as you learn how to make bracelets, necklaces, and earrings of all kinds. 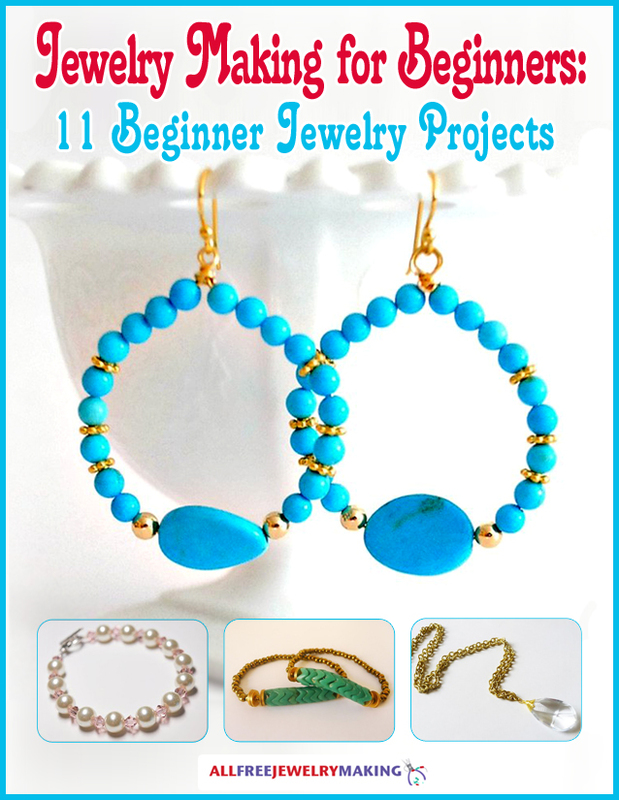 Learn more and download the Jewelry Making for Beginners: 11 Beginner Jewelry Projects eBook. Making Beaded Jewelry: 11 Free Seed Bead Patterns and Projects eBook - Cut down on your overflowing seed bead stash by making some beautiful beaded jewelry. From earrings to bracelets, from peyote stitch to brick stitch, this collection of free seed bead patterns has it all. Learn more and download the Making Beaded Jewelry: 11 Free Seed Bead Patterns and Projects eBook. How to Make Earrings: 5 Wonderful Wire Earrings - Looking to make a pair of darling DIY earrings with an extra bit of sparkle? Then this eBook, How to Make Earrings: 5 Wonderful Wire Earring, is just what you've been searching for. A pair of homemade earrings is the simplest way to add a bit of pizzazz to any outfit, and these fabulous wire earrings do just that. These sets of dainty DIY earrings pack a big fashion punch. Learn more and download the How to Make Earrings: 5 Wonderful Wire Earrings eBook! 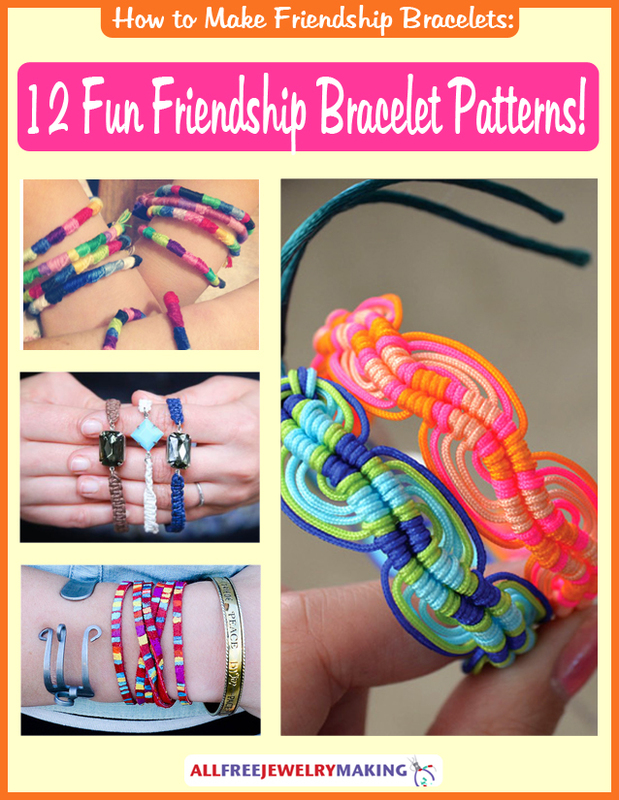 How to Make Friendship Bracelets: 12 Fun Friendship Bracelet Patterns! eBook - Redefine your idea of what a friendship bracelet can be with this collection of free friendship bracelet patterns. From macrame to crochet, bead weaving to braiding, these friendship bracelet designs cover a variety of techniques ranging from the traditional to the trendy. Learn more and download the How to Make Friendship Bracelets: 12 Fun Friendship Bracelet Patterns! eBook. How to Make a Ring: 9 Dazzling DIY Rings You'll Love - Make fabulous new jewelry accessories with this eBook, How to Make a Ring: 9 Dazzling DIY Rings You'll Love. A homemade ring is a simple and easy way to add a dash of style to any outfit. These little jewelry pieces pack a big fashion punch. Whether you're a fan of gigantic statement rings, adore colorful ring creations, or prefer the simplicity of basic wire wrapped rings, there's something for everyone in this collection of DIY rings. 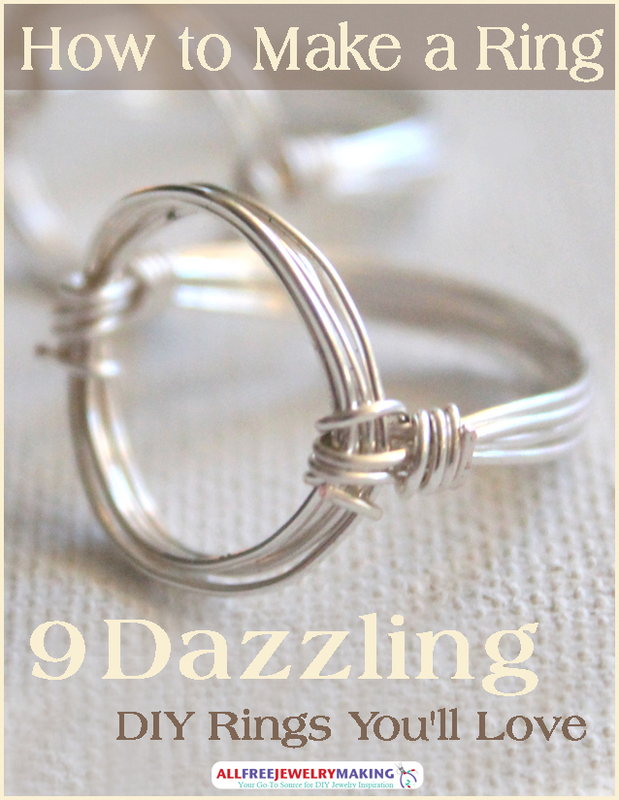 Learn more and download the How to Make a Ring: 9 Dazzling DIY Rings You'll Love eBook!